We designed and developed an attractive landing page that catches the eye of campaign traffic and compels them, resulting in a deep scroll reach. By testing and refining we created the precise amount of sales driven content. 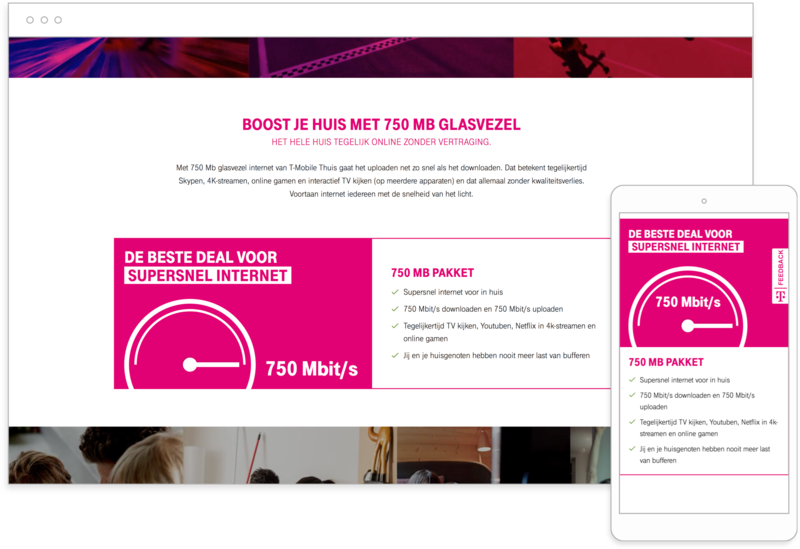 As part of the launch of their high-speed-internet proposition, the client asked Motorrr to design a sales-oriented landing page for their campaign traffic. Once the landing page and campaign went live, we tracked the click and mouse behavior and scroll reach. The results were staggering, with 100% of the campaign traffic scrolling halfway down the page and 75% scrolling at least ¾ down the page. We usually advise quantitative testing after launch followed by another round of optimisation of the web page. Testing during the concepting trajectory and developing prototypes for qualitative testing always pays off and highly increases the success of marketing campaigns.